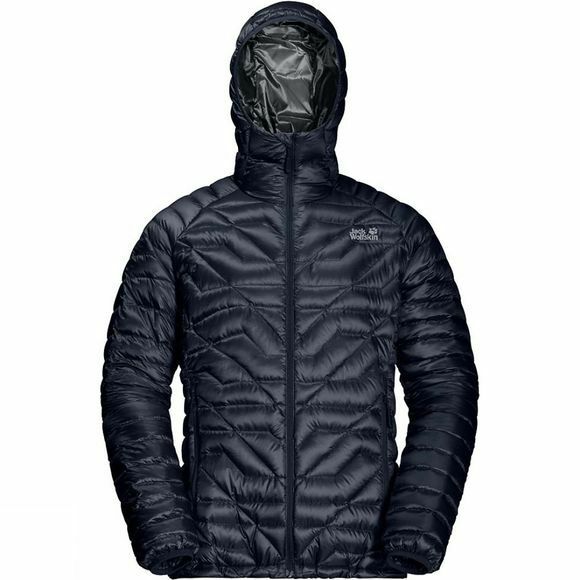 The Mens Argo Supreme Jacket from Jack Wolfskin is a light insulated jacket. Stash it in its pack bag, and this warm jacket takes up so little space that you can take it with you everywhere you go. It has exceptionally good lofting capabilities, it's super warm and ultra light–and It is also water-resistant, courtesy of the special impregnation treatment. The special fill chamber construction solves the problem of down slippage and migration, and the ergonomic, adjustable hood provides excellent protection for your head.